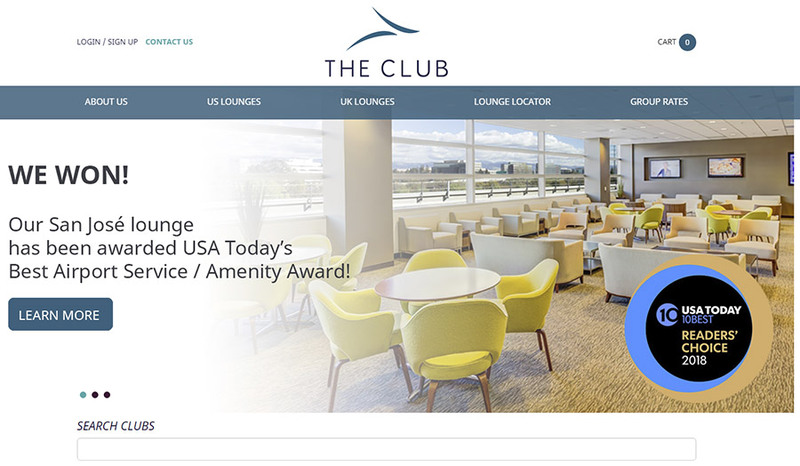 Located throughout the United States, The Club airport lounges are an all-inclusive style waiting area for passengers with any airline ticket on any class of service. What makes these airport lounges especially good value is that, unlike most day-lounges out there, The Club offers complimentary alcoholic drinks (wine, beer AND liquor)! They also provide guests with the standard range of WiFi, snacks, newspapers, workstations, and shower facilities. As a day lounge, anyone can purchase access for the day without having to commit to an annual fee, and a few other clubs (Priority Pass, Diners Club and Lounge Club) receive complimentary access anyway. All in all, not a bad deal!